This easy-to-use, concise, informative guide is a must for anyone who wants to leave behind Southern California's noisy freeways and crowded beaches in search of the wild places where birds can be found. 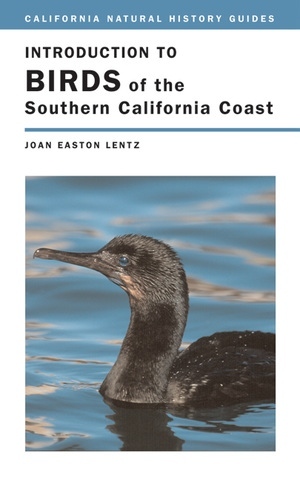 An excellent introduction, an indispensable regional guide, and a perfect companion for excursions from San Luis Obispo County to the Mexican border, it is designed to familiarize birdwatchers, hikers, naturalists, residents, and travelers with the appearance and behavior of 120 of the most common coastal birds. Joan Easton Lentz is a Research Associate with the Santa Barbara Museum of Natural History. She also teaches bird classes for the Santa Barbara Community College Continuing Education Division and is author of Great Birding Trips of the West (1989) and Birdwatching: A Guide for Beginners (1985).